The Beatles join the streaming revolution on December 24 with the group's catalog coming to nine different services. Santa isn’t the only thing that you can track traveling across the globe on Thursday. Legendary music makers The Beatles are also bringing their catalog to pretty much every subscription streaming service starting 12:01 a.m. local time on Christmas Eve. You can even track the catalog availability around the world at thebeatles.com. Seriously. 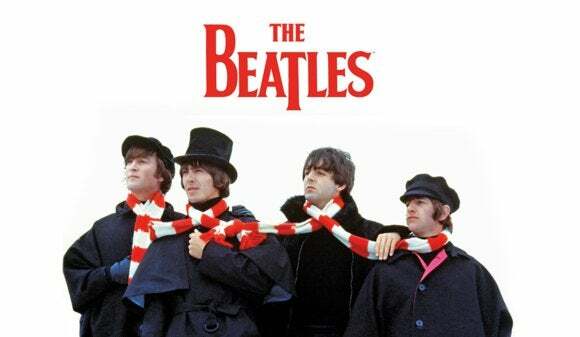 Beginning Thursday, subscribers to Amazon Prime Music, Apple Music, Deezer, Google Play Music, Microsoft Groove, Rhapsody/Napster, Slacker, Spotify, and Tidal can have a wonderful Christmas time with John, Paul, George, and Ringo. Pandora subscribers can already hear Beatles songs on their radio stations randomly since Pandora does not offer on-demand streaming as the other services do. 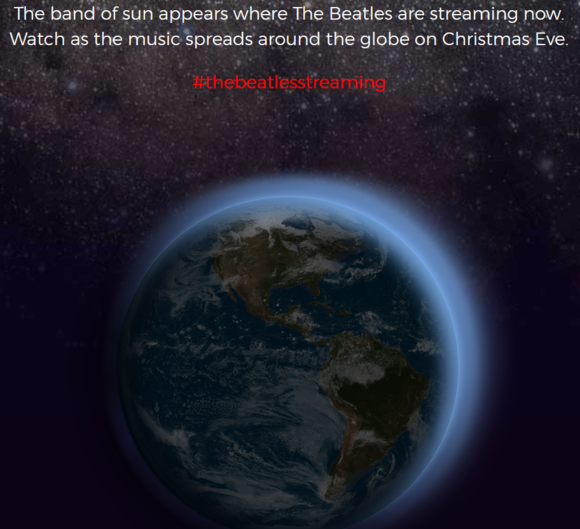 On Thursday, one browser tab can track Santa, the other The Beatles. Rumors about The Beatles coming to streaming services first surfaced last Friday after Billboard spilled the beans. Apparently this roll out has been nearly a year in the making, with negotiations going on since January. The story behind the story: The Beatles are one of the most important popular music groups in history, and the band’s catalog is one of the most sought after by music services. Yet it has been slow to join the digital music revolution. The Beatles only made the jump to digital in 2010 when the catalog began retail sales exclusively on iTunes. Five years later, well after subscription streaming was popularized, The Beatles will land on all the major streaming services at once. This will also mean the end of the iTunes retail exclusive as Microsoft's Groove Music, and possibly others, will start selling Beatles album downloads on Thursday. The Beatles site doesn’t list the official run down of albums coming to streaming services. That is not surprising since the streaming catalog includes all of the band’s original LP’s, excluding special release titles that were for specific markets. Groove is also offering The Beatles’ albums for sale at 30 percent off starting Thursday. Currently, iTunes is selling The Beatles’ albums for $7.99 each with compilations priced between $9.99 and $12.99.